Traditional African medicine is a holistic discipline using herbs. Tanzanian Mchicha amaranth healing African green tea may provide a unique traditional health benefit reducing blood pressure and cardiovascular disease. Amaranth, also known as mchicha in Tanzania is used as a herbal medicine to improve cardiovascular health naturally. Herbalism is one of the main methods used to treat various sicknesses in traditional African medicine. The continent of Africa has a wealth of indigenous herbs and plants such as amaranth used for herbal treatments. When making herbal green tea use a tea strainer. 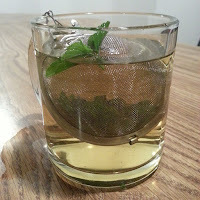 The tea strainer eliminates the need to strain off leaves later. 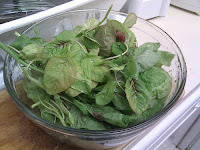 Add your desired amount of amaranth leaves to a tea strainer or teapot, around 5-6 leaves works well. Cover with boiling water a let steep for 5 minutes or until you have created your perfect cup of tea based on your preference. Be sure to always rinse and wash leaves prior to making tea.